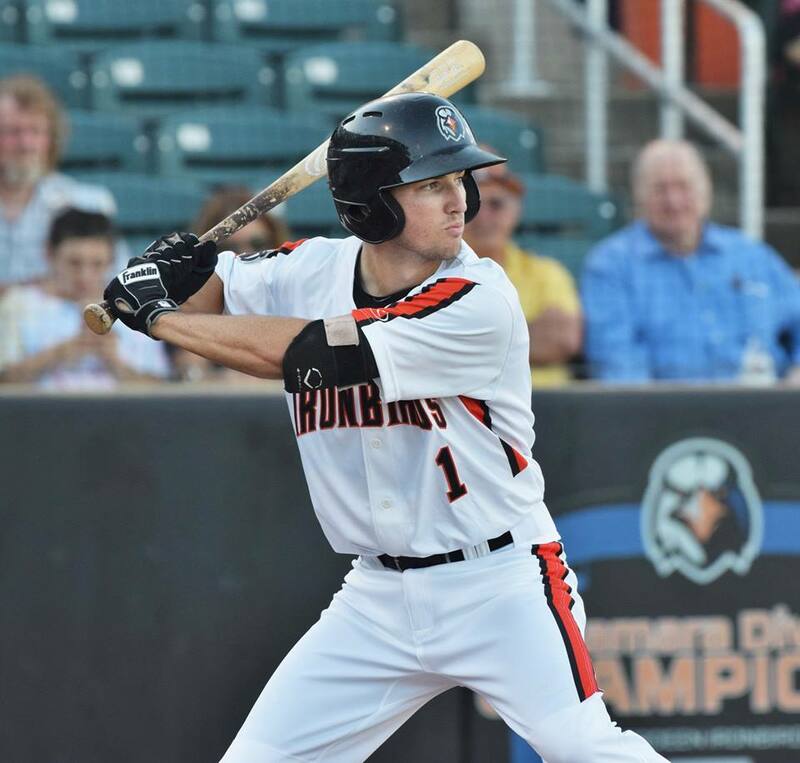 Adam Hall and his Aberdeen IronBirds teammates came to Vermont after sweeping Connecticut and found success through a balk, some errors and a couple of key hits. Vermont's mistakes piled up and Robert Neustrom homer was the difference in a 6-4 IronBird victory. Hall had yet another strong day at the Plate. Hall had 3 At Bats, scoring 1 Run, with 1 Hit and 1 Double, Hall also had 2 RBI’s and a Walk. Hall reached with a walk in the third inning. He proceeded to steal second and third, and came home on a balk by Vermont's starter Jose Mora. Lead change number two came in the bottom half, Marcos Brito led off with a single. Jonah Bride knocked an RBI double and Jeremy Eierman did the same for Vermont. It was 2-1 Lake Monsters through three. In the fourth inning J.C. Escarra was hit by a pitch and Cody Roberts knocked a single. When Robert Neustrom reached on an error, Escarra came to the plate. Hall stepped up and hit a double with the bases loaded to score two runs. Aberdeen led 4-2. A career high nine batters struck out to NYPL All-Star Matt Hammonds in his 5.2 IP. He left with the bases loaded in the 6th and ended up surrendering three runs in that inning. Vermont retook the lead 5-4. Nick Horvath reached on an error in the sixth inning and came in to score after back to back wild pitches. That tied the game at five. Robert Neustrom hammered a ball off of lefty Josh Reagan in the 7th inning. He sent it over the wall in right center with an exit velocity of 108.5 MPH to give the 'Birds a 6-5 lead. J.J. Montgomery got his first save opportunity as a pro and cruised through it. He retired the side in order in the 9th to give the 'Birds a 6-5 win and make it six (officially) in a row.